Support Ribbons. This page features a variety of support ribbons comments and glitter graphics that can be used to show support for all sorts of different causes. The yellow ribbon is used as an expression of support for a loved-one who is far away. Recently, it has been used as a symbol of support for those in military service as well as the emblem for the international suicide prevention program. The origins of the yellow ribbon custom are unclear, but references to it date back at least 400 years. Ribbons are often used as a symbol of support for various causes. The red ribbon is most often used as a symbol of support for people fighting against HIV/AIDS. The (red) ribbon project was started in 1991. 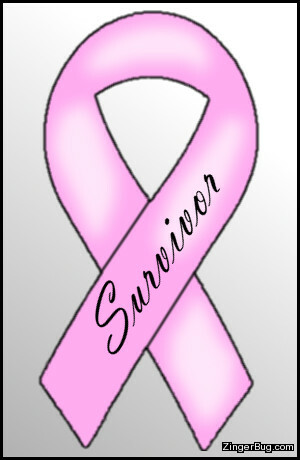 The Pink ribbon is used as a symbol of support and awareness for breast cancer. It is used widely during October, which is Breast Cancer Awareness month. Ribbons of various colors are used to denote support for all sorts of causes. The green ribbon has been used for various causes including environmental justice, organ donation and solidarity with Chechnya. Blue ribbons have been used in campaigns against child abuse, to express support for bringing home the troops, as an anti-smoking symbol and to express support for the Online Free Speech Campaign. The purple ribbon expresses support for the campaign to end interpersonal violence. The black ribbon is generally used as an expression of grief.